Hello everyone! Welcome back to Archi-Anime Anecdotes. Where I try to add back in the architectural side of my life to the blog in a non-anime related post. I think at this point it’s safe to say my architectural likes are also japanese influenced. So today, I want to share a home that stood out to me when I had been perusing Archdaily awhile ago. Due to copyright stuff, I won’t be posting a ton of images of this house, but you can check out the link above for the gallery. I’d just like to point out what I really like about the design and the aesthetics. This makes me think of Wabi-sabi; a world view that was a reaction in the post 15 century that focused on the importance and acceptance of transience and/or imperfection. It is a reaction to the rich materials and lavish lifestyle that was prevalent in japanese culture. This house features long linear hallways that serve as gallery spaces. And there are two types of spaces that really stand out to me: the white spaces and then the wooden spaces. The largest space (atelier) is definitely a workshop type area, and a place to host. Further into the house theres’s a gallery that gives off that pristine professional gallery feel, but as you move deeper into the house into the more personal intimate spaces, the material shifts to wood which gives an inviting warmth to the home. A definite contrast to the “photographer” space. I also like that the little workshop area is mixed materials of wood and white, since the workspace is where you organize your work and lay things out, it makes sense that materials for both creating a comfortable space while maintaining a professional space intermingles so well. I also think that all the openings into spaces are well planned out and picturesque in that they frame what is beyond perfectly. The wide sliding door that opens to the outside is also a perfect backdrop as the linear gallery wall is what’s beyond. The hallway leading to the opening gallery space features a skylight that filters light down casting a very pretty effect on the wall behind. It seems that i really love straight lines and sharp angles; which is the opposite of what my thesis was about when I was in school. I really enjoyed writing and analyzing what I loved about this particular project, and hope you guys did too. I’ll try to write more in this style for future posts, as I hope they are somewhat educational to my readers. If there was any archi-speak that didn’t make sense please let me know, I’d be happy to indulge more on what I meant. 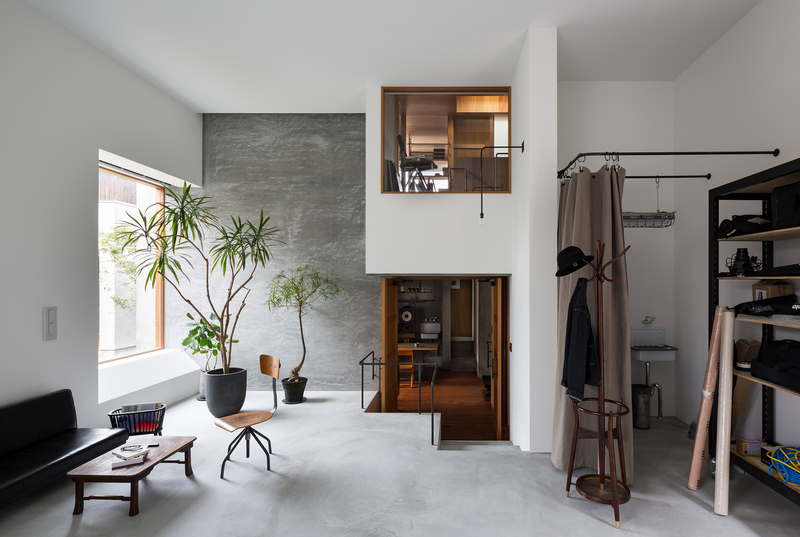 I also mentioned wabi sabi very briefly and would like to expand more on the aesthetics of japanese architecture and design just because it’s super interesting to me, so I guess you can be on the look out for those kinds of posts in the near future as well. Is it Too Early to Plan? 2019 Cons! All that concrete strikes me as very cold… Visually striking, but not very appealing to live in. But I’d love to have that atelier space though!